My main reason for continuing with the series was to understand what WICKED’s motives were, and why they’d taken the boys into the Maze in the first place. I knew the bare minimum; a deadly disease had been unleashed on the world and they were trying to find a cure. The science behind mapping the cognitive movements of the boys to find a cure was sketchy. 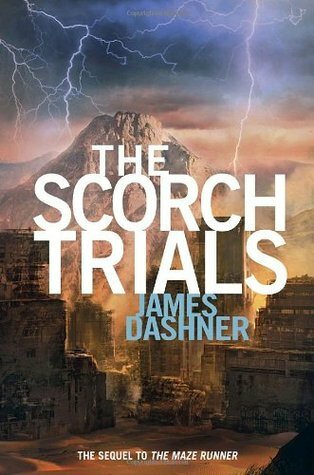 At the end of ‘The Scorch Trials’ I felt like I’d taken three steps backwards, not a step towards understanding. The whole time I wondered what was going on, and as more repetitive things happened to Thomas, I got more and more disinterested in the real answer. Is WICKED really good? Why can’t anyone seem to give a solid and correct answer to any question. If you thought Thomas had a lot of questions in the first book, this was even worse. It seems that only Chancellor Paige knows what’s going on, and that anyone further down the hierarchy of command had their own ideas about WICKED and their testing. Also, Thomas spent most of his time in the Scorch with Brenda (see below for Brenda opinions) This was fine, but where were the other Gladers?! To split them up so many times was repetitive and darted around the explanation of how they all kept managing to meet up despite separation. What did the Scorch look like? Someone draw me a map, and then maybe I’ll be more reasonable. The whole point of the Scorch was to try and narrow down the amount of people in WICKED’s game, but, unconventionally, new characters were introduced, with a lot more significance than the original Gladers. These characters were either the female version of the Gladers (although I swear only two of the thirty-or-so girls actually spoke) or the newly created breed of ‘Cranks’. Cranks are people that have the Flare. One of these Cranks is Brenda, also known as the new Teresa. A lot of people have problems with Brenda. Me? Brenda was about the only thing I didn’t have a problem with. Thomas could certainly trust her more than he could Teresa, though he doesn’t seem to be able to find girls who don’t lie to him in some way. Sure, she was a bit full on and touchy-feely, but I respected her desire to get close to Thomas. Wouldn’t you snuggle up to someone in a desert of imminent death? The only character I really felt any attachment to was Minho. His leadership was bossy, but he wanted to keep moving forward. You could tell he had everyone’s best interests at heart. Also, he seemed to be the only one to genuinely care about Thomas. If anything happens to him in ‘The Death Cure’, then I will feel actual emotion. That’s the thing with this series. I didn’t feel attached to anyone but Minho, so when bad things happened I didn’t react. So many people were injured or killed that I didn’t cry over because I didn’t know their names. They were just extras, used to flesh out the story. As you may know, when a dystopian spirals into a genetic experiment, which could involve deletion, enhancement, addition or some special powers like immunity I get annoyed. It seems like the easy way out. So, the plot of this books removes at least two stars from my rating, because of the predictability. Overall, ‘The Scorch Trials’ gets two stars. I had no connection, limited fascination and general lack of enjoyment when reading. If you want to know what happens, read a plot summary, nor better yet, watch the movies.